Seizures are neurological events that can be as small as twitching or a look of vacancy to a full-on scary, on the side, paddling episode. Mild seizures can be very hard to tell from other odd behaviors or even fainting spells. Seizures are generally not painful unless they last for a long period or the dog has them one right after another. Most cases are treatable, and the dog usually has a good quality of life. There are three stages of a seizure. Seizures start with an aura, by which the pet can sense the oncoming seizure. Then the seizure occurs. It ends with a period of disorientation. This is what helps differentiate seizures from other odd behavior or diseases. When we see an animal start to seize, it often seems to get a very distant look and starts salivating. The first type of seizure is a Psychomotor Seizure. These are usually mild and may include snapping or circling. The second type is a Partial Seizure. These usually start with one part of the body, but usually end up including all of the body. The third type and the most frightening, is the Grand Mal Seizure. This is the most violent-looking seizure wherein the dog is on its side paddling and unresponsive. 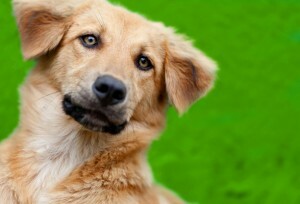 In dogs less than 5 years old, the cause is usually epilepsy or some type of toxin. In animals over 5 years, we have to be concerned with toxins, metabolic diseases, unknown sources, and brain tumors. Blood tests can help rule out different diseases. Epilepsy is a general term that includes seizure disorders for which no cause can be found and is the most common diagnosis. The most common drug used to treat seizures is phenobarbital. Phenobarbital is started when the dog has seizures in increasing frequency, the dog is a breed that is predisposed to seizures, or the dog is in a situation where having seizures are unacceptable. Phenobarbital is a long-acting barbiturate that is given twice a day for seizure control. The dog may appear sedated when it first starts on the drug until a normal level can be established. S/he may also experience excessive appetite, thirst, and urination. These symptoms may or may not go away. Potassium bromide can also be used in conjunction with phenobarbital and sometimes by itself, to help in seizure control. Potassium bromide takes longer to reach a therapeutic level, which is why it is usually used with phenobarbital and not alone. Seizures can be a very frightening experience for people who have never seen them before, but they are treatable. Please call us if you have any questions.